A recent dive to the u-boat has now confirmed a fatal blast hole was ripped into her rear port side. With the aid of underwater scooters and high-powered spotlights, Leeman and his team of recreational divers discovered the two-metre gash near her propellers, confirming reports by Royal Air Forc Squadron 244 that a British light bomber aircraft had scored a direct strike on the submarine on October 16, 1943. U-533 was a Nazi German U-Boat (Type IXC/40) that operated during World War II between April 15, 1943 and October 16, 1943. It was first launched on September 11, 1942 with a crew of 53, under the command of Helmut Hennig. 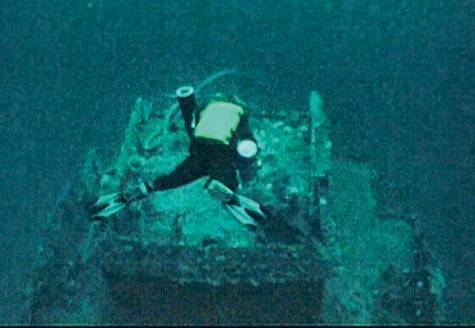 It was sunk by a Royal Air Force Blenheim bomber while it was operating in the Gulf of Oman. Of the crew of 53, only one survived by staying afloat without a life jacket for 28 hours until he was rescued by the HMS Hiravati near Khor Fakkan. In 2009, William Leeman's team found the wreck of U-533 at a depth of 108 meters (354 ft) some 25 nautical miles (46 km) off the coast of Fujairah. "During our last dive, we could see the jagged edges of the hole where she was blown up. That was the moment of truth - the ship then sank to the bottom in a forward motion marking the epic death of 52 German mariners." 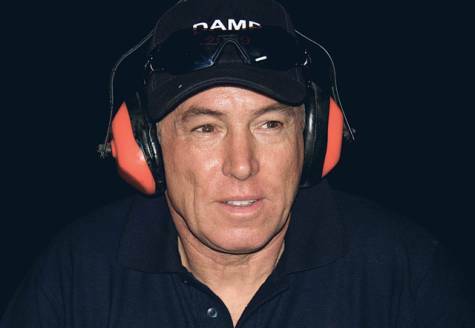 Leeman told Gulf News. 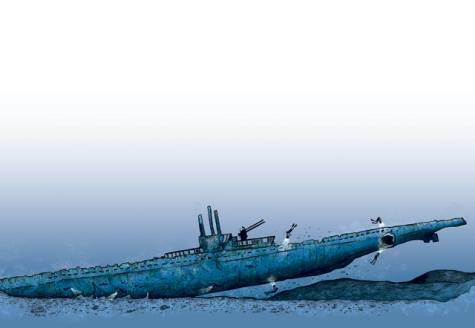 Only one U-533 survivor somehow scrambled to safety from the submarine. Records show mechanic Gunther Schmidt bobbed in heavy seas for more than a day after the sinking before he was taken prisoner, Leeman said. Discovery of the fatal laceration across the sub's double-hull is an undeniable last link in a chain of clues that Leeman says can now close the book on the demise of the long-range U-boat off Fujairah shores. "A lot of people have told me I don't have proof that the ship we found is the U-533. If you look at the British and German military records, they confirm this is the submarine that sank. The British recorded a direct hit on the sub, we have a German survivor, and we have dived it." 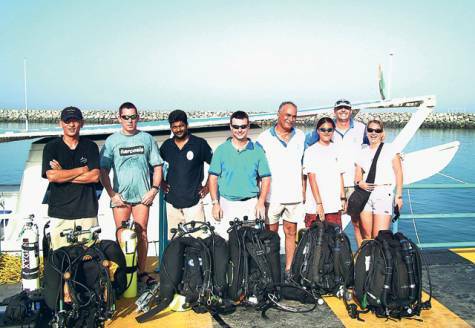 After more than 10 dives in recent years with seven recreational members of the Desert Sports Diving Club of Dubai, often in poor conditions, Leeman said October's visit led to unbelievable visibility and afforded virtually unobstructed views of the U-533. "We could see the outline of the submarine from 50 metres," Leeman said. "It was so clear, we didn't even need torches. I could see the snorkel, the gun, the conning tower. It was breathtaking. Given the limited time available and expertise needed to dive at such depths, Leeman said no attempts had been made to enter the submarine's hold, but said all of the boat's contents are presumed to be intact.